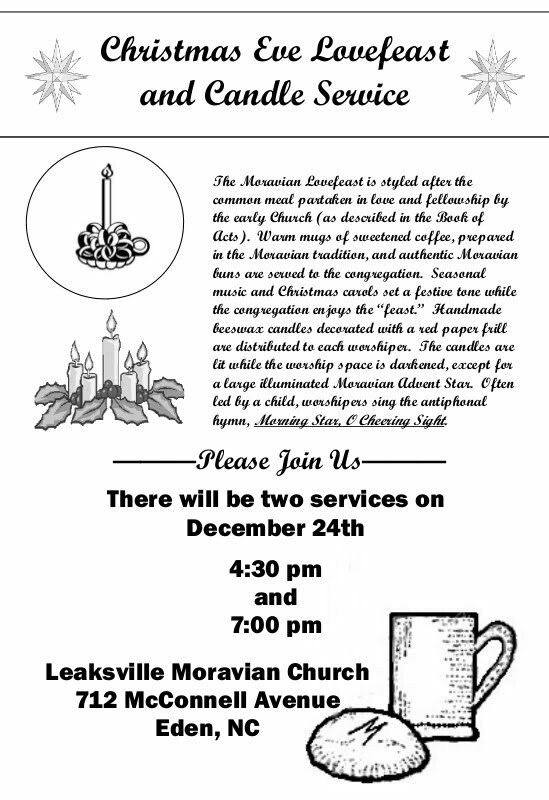 A warm welcome awaits you at Leaksville Moravian Church. Ours is a congregation with a strong faith in Christ as our Lord and Savior. Our members give loving support to each other as we struggle with life's difficult questions. As Moravians, we are proud of our long heritage - a heritage of warm hearts and a commitment to love, understanding, joy, and peace. Our worship style is best described as traditional and takes place in a sanctuary that facilitates a sense of warmth. 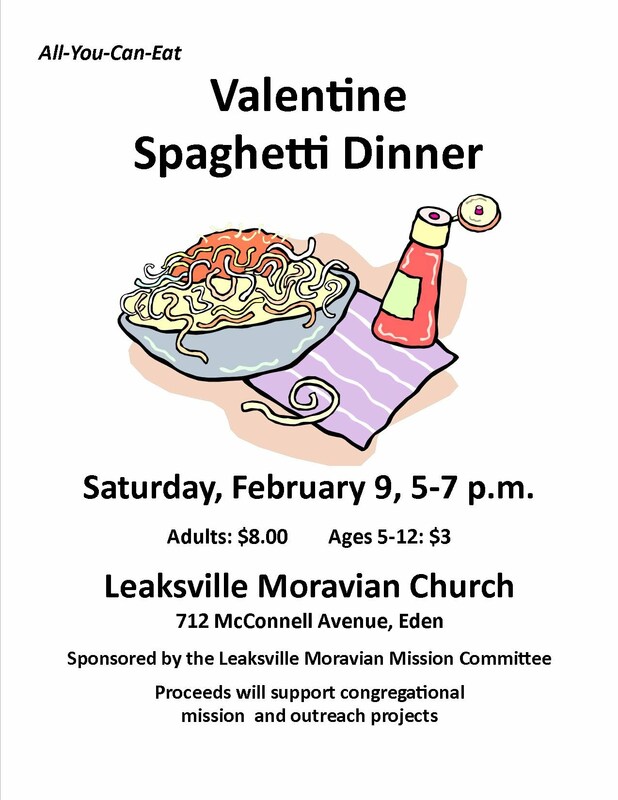 We share in a traditional Moravian Lovefeast several times throughout the year. Our high points of worship are the Easter Sunrise service and Christmas Eve Candle Lovefeast. We celebrate our heritage of Moravian music. Our education and fellowship programs foster a faith that is active and caring for others. We are located next to the site of the former Burton Grove Elementary School on McConnell Avenue. We look forward to having you with us soon.